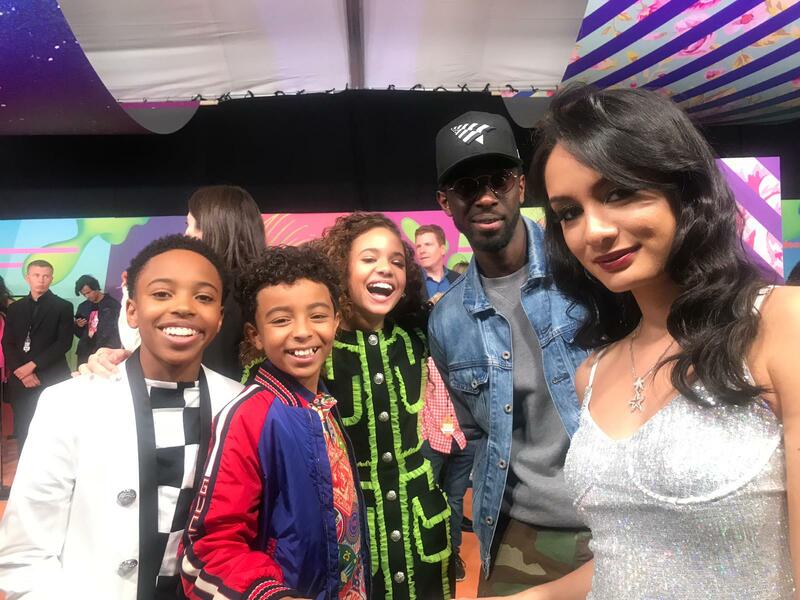 VIPAccessEXCLUSIVE: “Cousins For Life” Cast Interview With Alexisjoyvipaccess At The 2019 Nickelodeon Kids’ Choice Awards! Ever since the outstanding series, Cousins For Life aired on our TV screens, we have been nothing short of obsessed with it. After watching the many remarkable episodes of the show, we are proud to say that this awesome family has become an extended TV family of our own. Cousins For Life focuses on cousins Stuart and Ivy, played by Dallas Dupree Young and Scarlet Spencer, respectively. When Stuart’s dad decided to move to Portland to join his brother and his family, the cousins: Stuart, Ivy and Ivy’s younger brother Leaf, played by Micah Abbey, find themselves embarking on a countless amount of fun and magnificent adventures with one another. It’s clear to see that Cousins For Life became an instant hit amongst fans. The fun-loving, lively and light-hearted spirit of the show is something that immediately resonated with all viewers. The cast of the show is absolutely sensational. Dallas Dupree Young, Scarlet Spencer, Micah Abbey, Ron G., and Ishmel Sahid are all so talented and they bring the show to life in such an exceptional and enjoyable way. Seeing this cast together puts a big smile on our face. We’re always looking forward to seeing what other kinds of excitement are in store for the cousins in each of the fantastic episodes of the show. Cousins For Life is, indeed, another one of Nickelodeon’s masterpieces! I, Alexisjoyvipaccess had the honor of covering the 2019 Nickelodeon Kids’ Choice Awards and had a great time catching up with and interviewing the incredible cast of Cousins For Life again at the event. The Cousins For Life cast dished exclusively to Alexisjoyvipaccess all about what it was like for them being at the KCAs, what they were looking forward to the most at the award show and so much more only in our VIPAccessEXCLUSIVE updated interview. The Cousins For Life cast even revealed whether or not they wanted to get slimed at the renowned award show – hear what they had to say in our VIPAccessEXCLUSIVE updated interview below. Check out my VIPAccessEXCLUSIVE updated interview with the awesome cast of Cousins For Life at the 2019 Nickelodeon Kids’ Choice Awards below! Previous VIPAccessEXCLUSIVE: Lilimar Interview With Alexisjoyvipaccess At The 2019 Nickelodeon Kids’ Choice Awards! Next VIPAccessEXCLUSIVE: Savannah May Interview With Alexisjoyvipaccess At The 2019 Nickelodeon Kids’ Choice Awards!